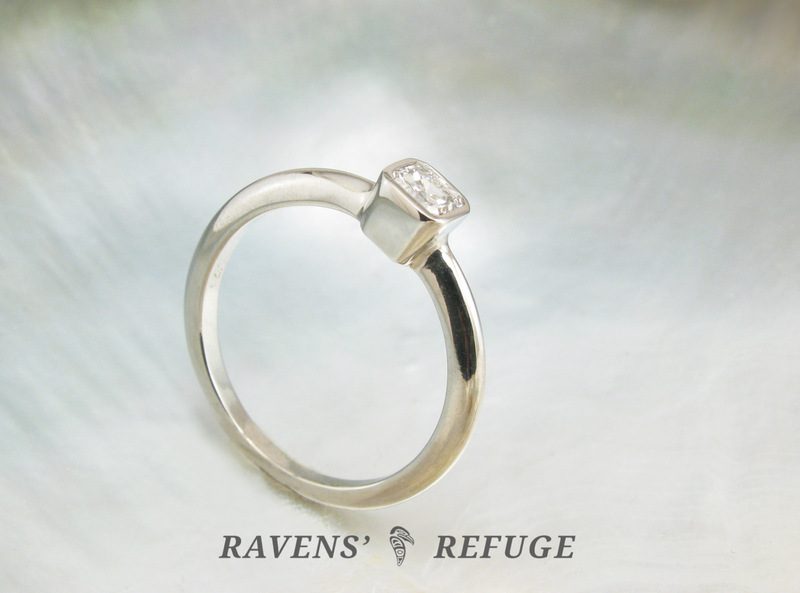 This lovely asscher solitaire engagement ring is simple and elegant, featuring a conflict-free diamond. 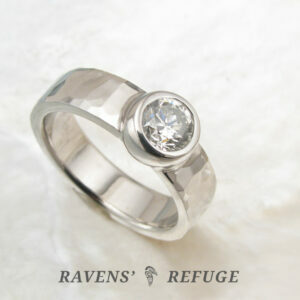 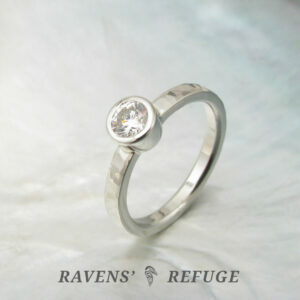 As practical as it is sleek and modern, the bezel setting will not catch on things as prong settings do. 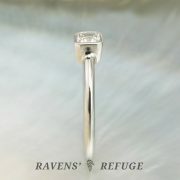 The diamond will be GIA certified, VS / G+ quality and .50 carats. 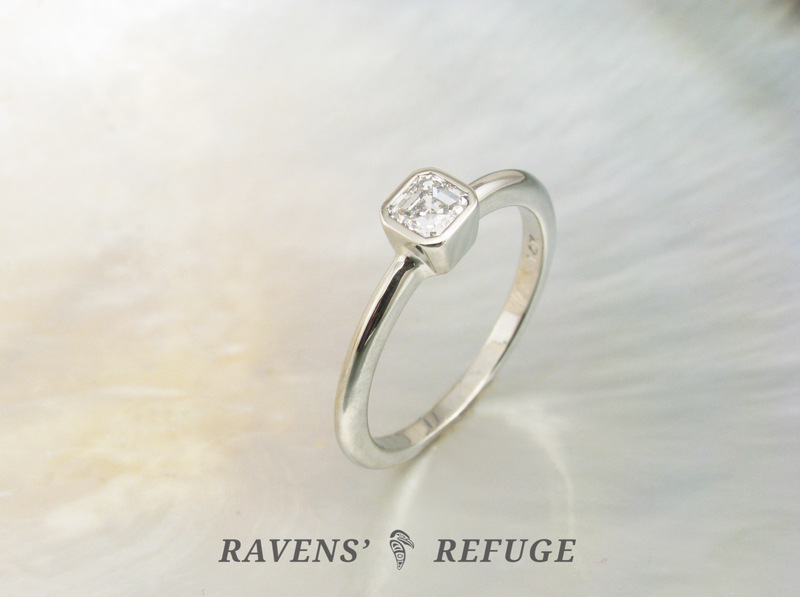 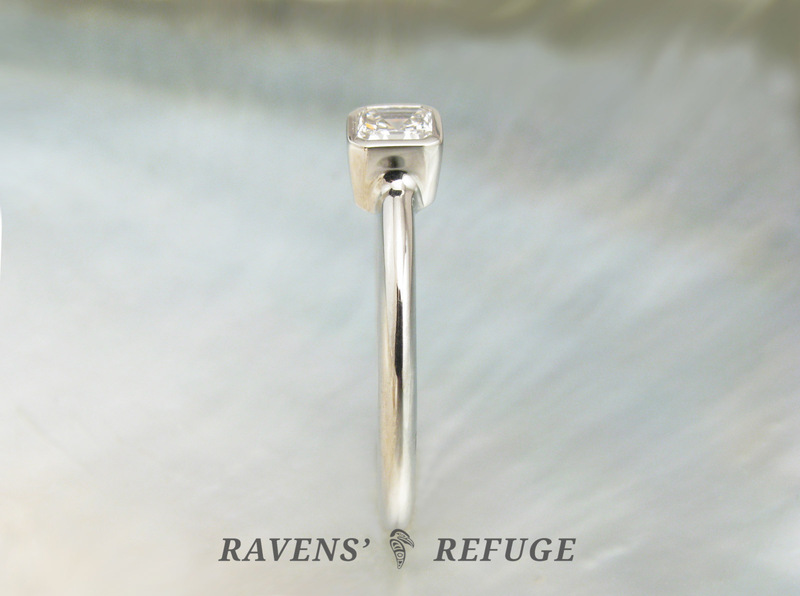 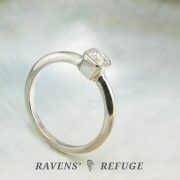 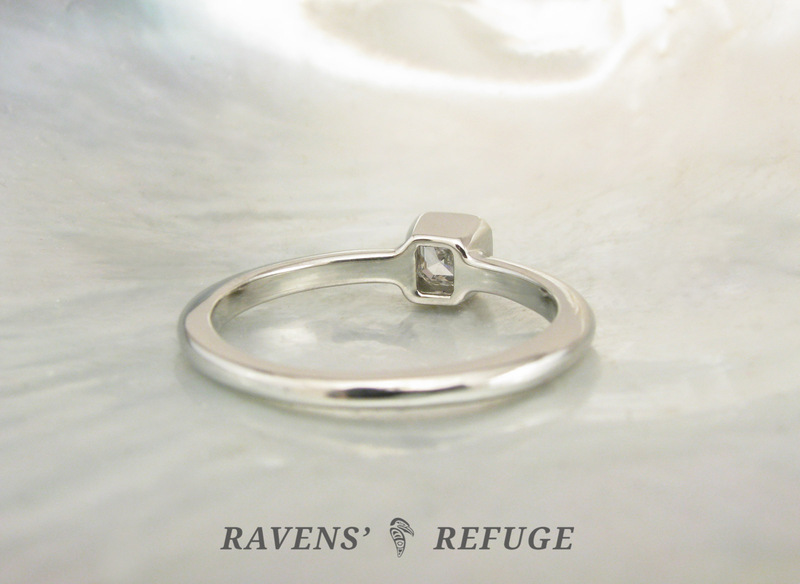 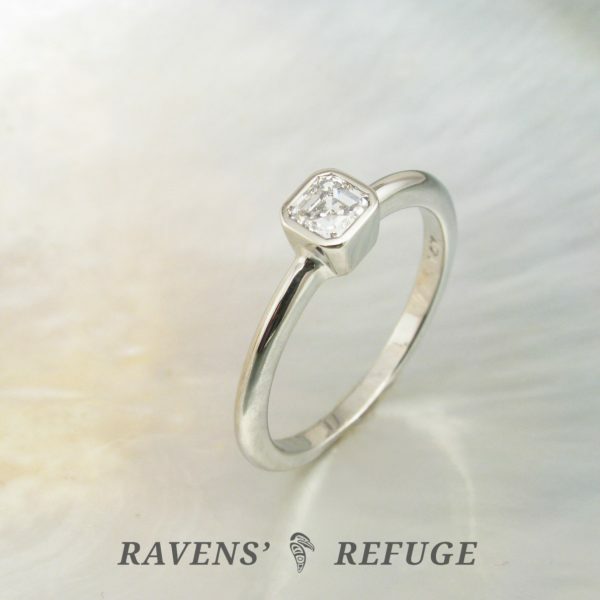 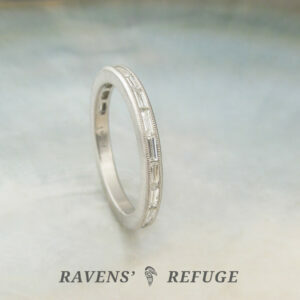 The 14k white gold shank is 2mm wide and 2mm thick, tapering to 2mm wide by 1.5mm thick at the base.